The Town Financial Plan/Budget is prepared by the Budget Committee and approved by the Town Council. The goal of the Financial Plan/Budget is to evaluate and direct Town departments, helping them make successful decisions in resource allocation, program evaluations, financial management, and long-range planning. The Town Manager, with assistance from the Finance Manager, drafts the Financial Plan for the Budget Committee and Council review/approval. The Financial Plan shall be approved by Council no later than the July Council meeting for an August 1 effective date. All Budget Committee meetings are posted no less than 7 days in advance and open to the public. 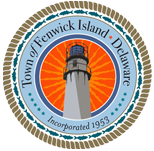 The Town of Fenwick Island tax rate for 2017-2018 is $1.92 per $100 of assessed value. The annual property assessment occurs in May every year. Taxes are due no later than the 15th of September. Late fees are assessed after that date. The tax bill will be mailed on or before August 1st. If you have not received your tax bill, please contact the Town Clerk. The annual Town Audit occurs every October and November with a presentation by the auditing firm at the December Council meeting (usually mid-December). The public may request a copy of an Audit through the Town Clerk’s office at (302) 539-3011 or download a copy from the website. Capital Improvement Plan (CIP) budgets can be found within the annual Financial Plans. The FY 2018 CIP is $191,795. Items purchased annually include vehicles, equipment, materials and technology. Projects funded include street repaving, drainage and recreation. The Town Council has historically funded most CIP items and projects with Realty Transfer Tax (RTT) funds, grants and other federal, State and County funding.